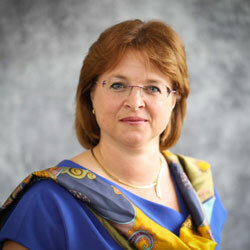 Elizabeth qualified as a Solicitor in 1993 and practised initially the fields of Crime, Conveyancing Wills, Probate and Personal Injury cases, before developing her specialisation in Family Disputes. Elizabeth trained with Resolution as an All Issues Mediator in 1997. In the following year, Midlands Mediation was established. Since 1999 Elizabeth and her growing team of specialist Mediators have delivered both private and publicly funded mediation services. Elizabeth is one of only a few Mediators in the country who hold the appropriate FMC accreditation to sign off on MIAMs required by the Family Court prior to an application being issued. Elizabeth expanded her training in 2002, to include Direct Child Consultations, now often referred to as child inclusive mediations” enabling parents to involve and incorporate into their decision-making, where appropriate the “Voice of the Child”. In 2010 Elizabeth became a Professional Practice Consultant for other family mediators seeking mentoring and experience in the field of family mediation. Elizabeth specializes in Mediating in Three distinct categories. Supporting families formalize arrangements to separate whether married or unmarried. Helping families explore and make appropriate financial arrangements, meeting housing, income, capital need, managing debt and looking at long-term arrangements including addressing pension issues. Offering parties both Sole and Co mediation. Mediation sessions deal with ALL ISSUES – property, finance, business, debt, and pension matters and can help families resolve any disputes regarding the ongoing arrangements for children. High net worth, complex, cases which often involve diverse business interests including, family-run companies/businesses, investment portfolios, commercial and residential property rental businesses, pensions and taxation issues. International/European relocation cases- removal or ordered return to the UK jurisdiction in children cases. Cases can be exploratory or post court involvement. Child inclusive mediation otherwise known as Direct Child Consultation/ The Voice of the Child. Or, if not required on site, in parallel by the provision of facilities to access their legal Advisor as appropriate remotely to assist in the progression of the mediation process. Elizabeth can work with other third-party advisors who can be brought into meetings at any point to help assist the progress of issues raised in Mediation. These include Valuers Independent Financial Advisors, Accountants, Pension Actuaries, Counsellors, Hypnotherapists and Life Coaches.